Below you find the latest Rogers Wireless plans for iPhone 3G/3GS for October 2009 . The information below will not include the specifically labeled “iPhone 3G plans” from Rogers that cost $60 and $75 per month. They can however still be used. Note: The plans and changes below affect new customers signing up for Rogers Service. 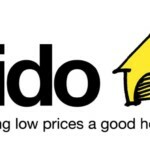 They also affect existing customers changing their price plans. As of April 7, 2009, all new acquisitions on a 3 year contract will only receive one (1) month of unlimited local minutes (“Freedom of Speech”) as opposed to 3 months, as it was in the past. If you are getting a separate data plan or a data plan combo plan (No term or 1/2/3 year term), as of June 2, 2009 you will receive two (2) months unlimited data usage (“Data Usage Bonus”), as opposed to 3 months as it was in the past. 1.) New Student plans ($35 and $50 options) with student discounts (free 6PM evenings). 2.) Reduction in storage capacity of your Visual Voicemail inbox in both days of storage and amount of voicemails stored. The iPhone 3G from Rogers will cost you $299 (8GB) and $349 (16GB) under this plan. The iPhone 3GS will cost you $399 (16GB) and $499 (32GB) under this plan. If you need more minutes or more data, you simply increase your plan, but that does mean increasing the amount you pay. (In other words, you do not have to choose what I just recommended. There are many VOICE plans to choose from but only ONE $40 iPhone Data Value Pack). 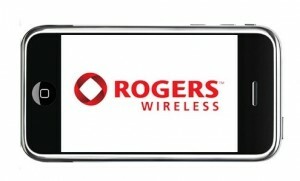 The iPhone 3G from Rogers will cost you $99 (8GB) and $149 (16GB) under this plan. The iPhone 3GS will cost you $199 (16GB) and $299 (32GB) under this plan. Note: If you add $9 and make the plan $59 or $7 and make the plan $57, you can start your evenings at 5PM or 6PM respectively. Note: If you are a student in High School or University, until November 2, 2009, you can add your student ID to your account and get 6PM evenings for free. Note: If you add $9 and make the plan $89 or $7 and make the plan $87, you can start your evenings at 5PM or 6PM respectively. The iPhone 3G will cost $99 (8GB) or $149 (16GB) and the iPhone 3GS will cost $199 (16GB) or $299 (32GB) with any of the Mega Value Voice & Data/Smartphone plans, whether you add the $20 iPhone VVM Pack or not. Note: Because the Mega Value Voice & Data/Smartphone plans already include a Data option, you will not be able to “add” more data to these plans as you can if you get a SEPARATE voice and separate data option. Note: If you add $9 and make the plan $59 you can start your evenings at 5PM. The iPhone 3G will be $99 (8GB) or $149 (16GB) and the iPhone 3GS will be $199 (16GB) or $299 (32GB) with any of the Mega Value Voice & Data/Smartphone plans, whether you add the $20 iPhone VVM Pack or not. If you need more minutes or more data (such as the $30 6GB Data plan), you simply increase your plan, but that does mean increasing the amount you pay. (In other words, you do not have to choose what I just recommended. There are many VOICE plans to choose from but only ONE $40 iPhone Data Value Pack). This is the cheapest plan available with a decent amount of minutes and promotions, however if you need more minutes, then you should choose a higher voice plan which range from $30 – $80. In terms of minutes and value, this is the best plan, however if you need more minutes, then obviously you should choose a higher voice plan.